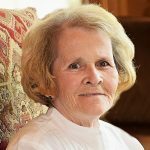 Betty Marlena Howard, a previous resident of Granbury, passed away on Friday, November 24, 2017, in Anahuac, Texas. Visitation: 6:00 – 8:00 pm Friday, December 1, 2017 at Martin’s Funeral Home, Granbury, Texas. Funeral service: 3:00 p.m. Saturday, December 2, 2017, at Martin’s Funeral Home. On February 21, 1952, Betty was welcomed into the home of Alvin and Mary Johnson. She was born at Carswell Air Force Base in Fort Worth, Texas. Later in life Betty married Gerald Howard and made their home in Granbury. She enjoyed going to church, traveling, singing and doing Zumba. She was preceded in death by her parents and her husband. Betty will be missed by all who knew and loved her. Survivors: Sons Allen Head and wife, Rebecca, Clinton Head and wife Sandra and Woody Head; daughter Tammy Martin and husband Cody, 24 grandchildren, 6 great grandchildren and sister Mary Lou Johns.